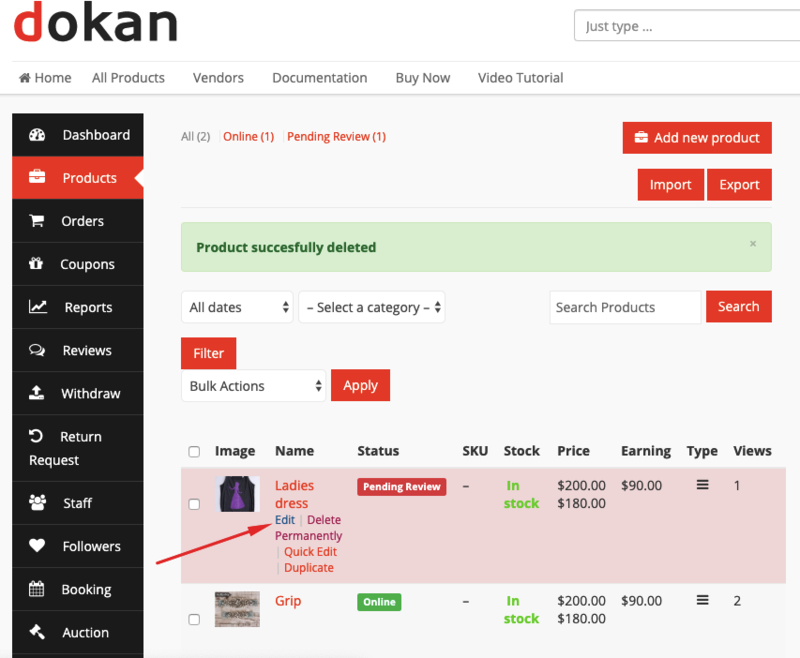 With the release of Dokan v2.9.7 the vendors can set brand for their products from an existing list of brands created by the admin. 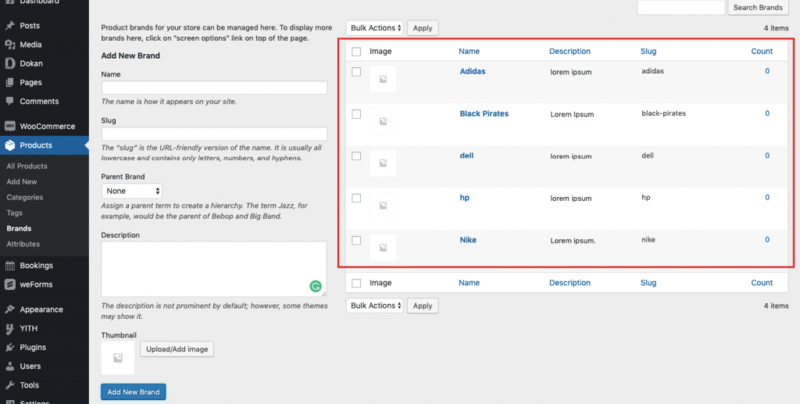 As an admin, you will need to login to the WP Admin Dashboard > Products > Brands. 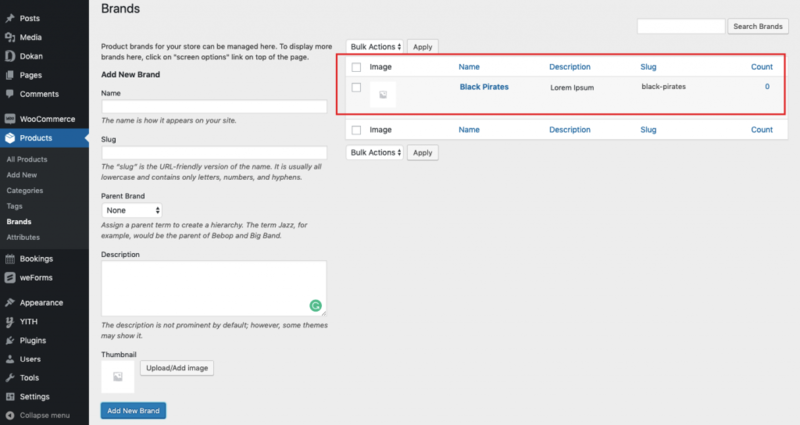 After that, you will have to fill out the fields, select a parent brand (optional), upload or add image. 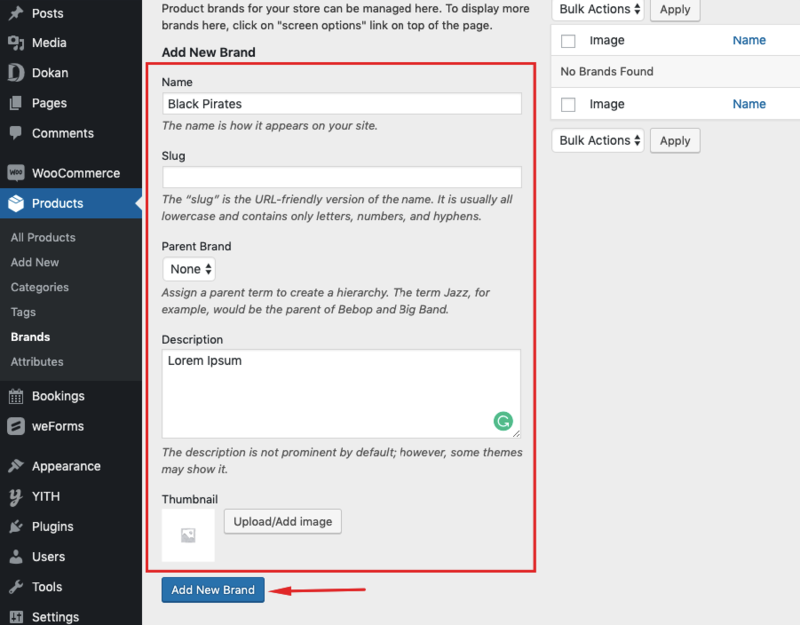 Finally, hit the “Add New Brand” button to create the brand. You will be able to see the brand you just created. How the Vendors Will Set the Brands? The vendors can only set brands from a list of already created brands. 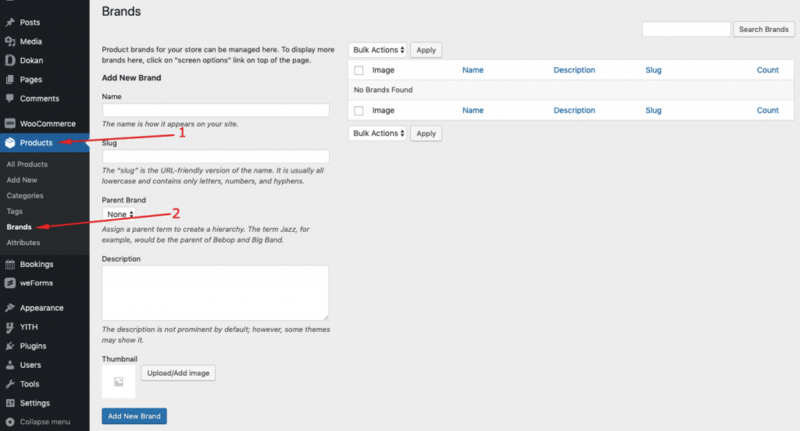 As a vendor, to set brands for a product you have to go to his/her Dashboard > Products. 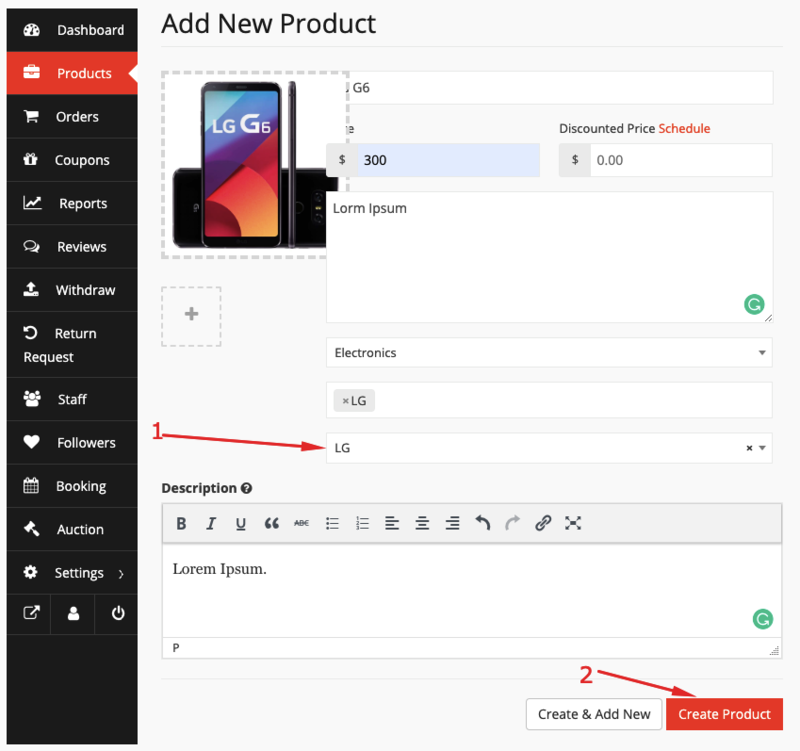 Then, you will get the options to add brand with all other options while creating a product. 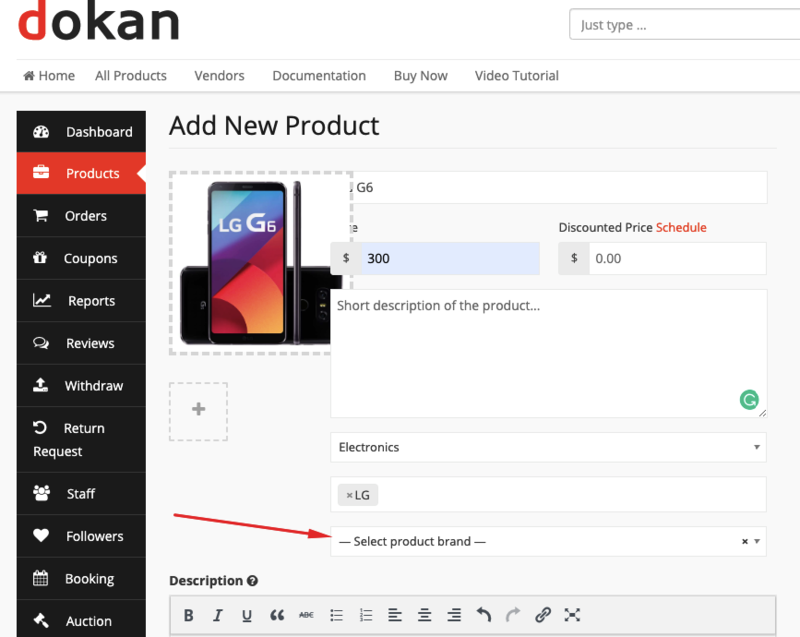 Finally, hit the “Create Product” button to finish adding the brand. 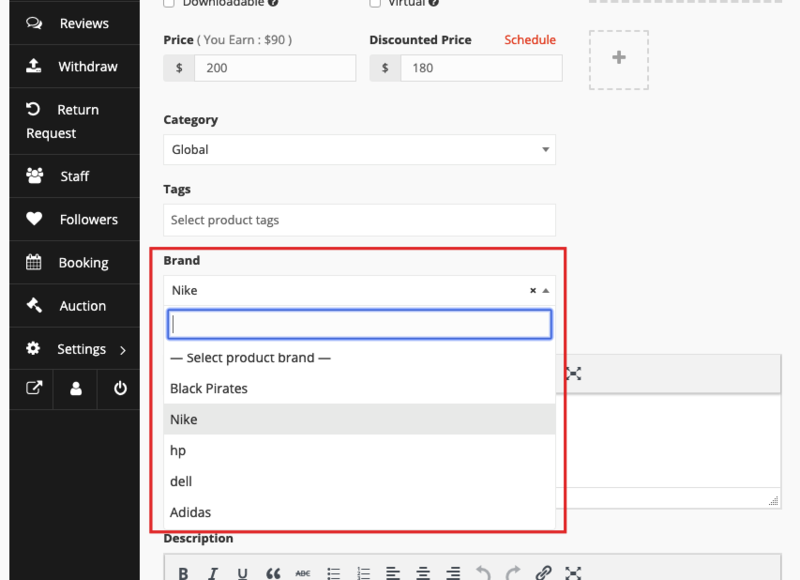 To add brand for an already existing product, go to your products > select the edit option from a product by hovering the mouse pointer on it. Now, select the brand for your product and click the Save Product button.